One of the most iconic Schott NYC jackets the LC1259 Bombardier Leather Flying Jacket will promise to make for a high quality and timeless addition to your wardrobe remaining relevant for years to come. 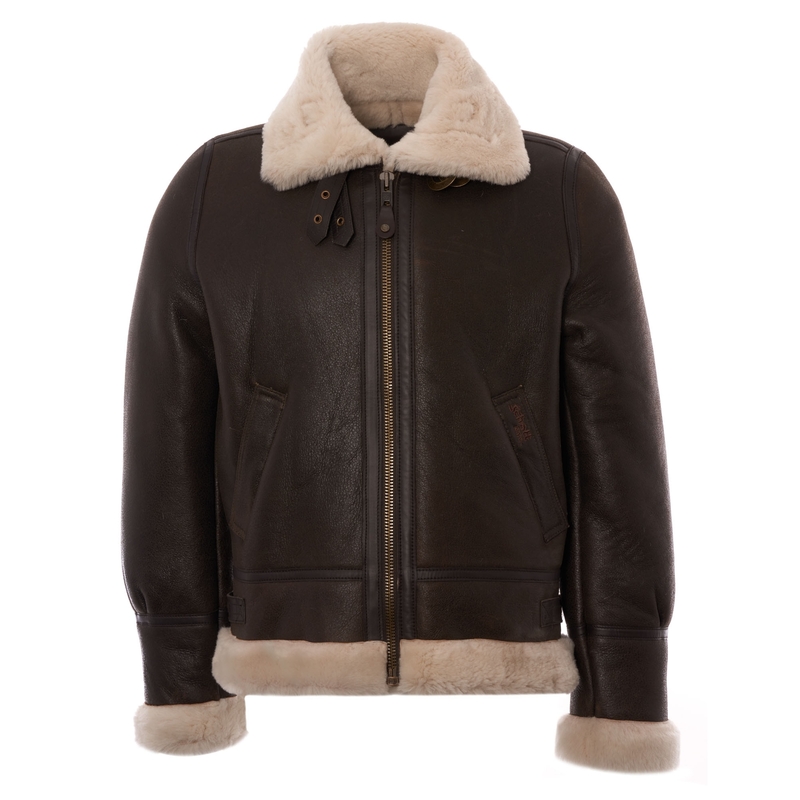 Constructed from a double face sheepskin leather that sees the outside shell feature with a soft grained texture promising to improve with age, the inside boasts a warming fur lining throughout the body and sleeves also appearing on the model's Aviator collar, cuffs and hem. Detailed with a zip closure, buckle adjusters to the collar and side seams and two fleece lined pockets to the front Schott NYC branded embroidery to the left pocket completes the model adding an air of authenticity.